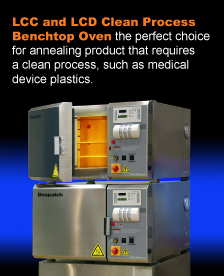 The DriTech™ dryer is designed to decouple the VOC removal and binder burn-off for a more efficient drying process. 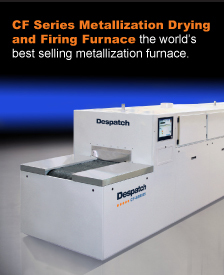 Dryers typically use either convective or IR drying, and rely strictly on a belt speed and temperature relationship. 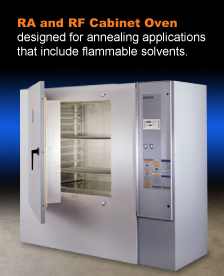 DriTech’s unique hybrid heating with Smart Tube™ technology provides multiple heat delivery mediums to efficiently and effectively remove solvent (VOC) from the paste while safely retaining the binder. A centrally located point-of-generation thermal oxidizer provides maintenance-free VOC abatement ensuring that the chamber remains free of contaminates. Air dilution, up to five times the dilution of conventional dryers, reduces the solvent concentration within the chamber and eliminates dead spots. Airflow is precisely managed to reduce cold air entrainment at the entrance and exit. A rapid peak temperature and internal management of the insulation surface temperature minimizes condensation.